“First ever fatwa from Qom endorses fighting alongside Assad,” Saudi Arabia’s newspaper of records, Asharq Alawsat, banners on its front page today. The paper was referring to the first public religious edict issued by a leading Shiite Muslim cleric widely followed by Iraqi militants permitting Shiites to fight in Syria’s war alongside President Bashar Assad’s forces. The call likely will increase the sectarian tones of the war, which pits overwhelmingly Sunni Muslim rebels against members of Assad’s Alawite sect, an offshoot of Shiite Islam. Al-Haeri is based in the holy city of Qom, Iran’s religious capital. Among his followers, according to The Associated Press, are many fighters with the feared Shiite militia, Asa’eb Ahl al-Haq, or Band of the Righteous, an Iranian-backed group that repeatedly attacked U.S. forces in Iraq and says it is sending fighters to Syria. That militia is headed by white-turbaned Shiite cleric Qais al-Khazali, who spent years in U.S. detention but was released after he was handed over to the Iraqi government. Many Shiite gunmen already fight around the holy shrine of Sayyidah Zaynab just south of Damascus. The shrine is named after the Prophet Muhammad’s granddaughter and is popular with Iranian worshippers and tourists. Asharq Alawsat says the fatwa sanctions the participation of Iraqi fighters in the protection of Sayyidah Zaynab shrine as well as in the defense of Assad’s regime. The rebels are mainly backed by Saudi Arabia and Turkey, Sunni powerhouses in the Middle East. The main Western-backed Syrian opposition group, the Syrian National Coalition, claimed recently that Shiite fighters from 14 different factions are fighting alongside Assad forces in Syria. The coalition said those fighters are brought to Syria with the help of Iraq’s Shiite Prime Minister Nouri al-Maliki, another Iranian pawn. Lebanon’s Iran-backed Shiite Hezbollah also openly joined Assad’s forces in May after hiding its participation for months. Since then, the group has helped Assad forces recapture a string of towns and villages from rebels. Separately, an influential Saudi Arabian prince said on Saturday Assad’s opponents have been at an impossible disadvantage since the start of the Syrian conflict because the United States and Britain refused to help them. The United States and Britain suspended non-lethal aid to northern Syria last Thursday after reports that Islamic Front -- a union of six major rebel groups -- had taken buildings belonging to the Free Syrian Army's (FSA) Syrian Military Council on the border with Turkey. Former Saudi intelligence chief Prince Turki al-Faisal criticized the decision, saying the two countries had left the moderate FSA to fend for itself. "What's more damaging is that since the beginning of this conflict, since the FSA arose as a response to Assad's impunity, Britain and the U.S. did not come forward and provide the necessary aid to allow it to defend itself and the Syrian people from Assad's killing machine," Prince Turki told Reuters on the sidelines of the World Policy Conference in Monaco. "You have a situation where one side is lopsided with weapons like the Assad regime is, with tanks and missiles -- you name it, he is getting it -- and the other side is screaming out to get defensive weapons against these lethal weapons that Assad has," Turki said. "Why should he stop the killing?" "That to me is why the FSA is in not as prominent position as it should be today, because of the lack of international support for it. The fighting is going to continue and the killing is going to continue." The U.S. gave us the impression that they were going to do things in Syria that they finally didn't," Prince Turki said outside the World Policy Conference in Monaco. "The aid they're giving to the Free Syrian Army is irrelevant. Now they say they're going to stop the aid: OK, stop it. It's not doing anything anyway." Saudi Arabia and Qatar are the main backers of the main opposition Syrian National Coalition and the FSA. Assad is backed by Iran, which struck a preliminary deal on with world powers in November to limit sanctions relief for more international oversight of its nuclear program. Western countries have held back from giving heavy weapons such as anti-tank and missile launchers for fear they could fall into the wrong hands. "For me ... (to bring a) successful end to this conflict would be to bring an end to the Assad regime. It is because of the Assad regime that everything is happening," Prince Turki said. Commanders from the Islamic Front are due to hold talks with U.S. officials in Turkey in coming days, rebel and opposition sources said on Saturday, reflecting the extent to which the Islamic Front alliance has eclipsed the FSA brigades. A rebel fighter with the Islamic Front said he expected the talks to discuss whether the United States would help arm the front and assign to it responsibility for maintaining order in the rebel-held areas of northern Syria. Prince Turki told Reuters while he hoped Iran was serious with regard its interim nuclear deal, it needed to provide some confidence-building measures with its Gulf Arab neighbors, beginning in Syria. …The Saudis have been particularly shaken by Mr. Obama’s refusal to intervene forcefully in the Syrian civil war, especially his recent decision not to punish President Bashar al-Assad of Syria with military strikes even after evidence emerged that Mr. Assad’s government used chemical weapons on its own citizens. 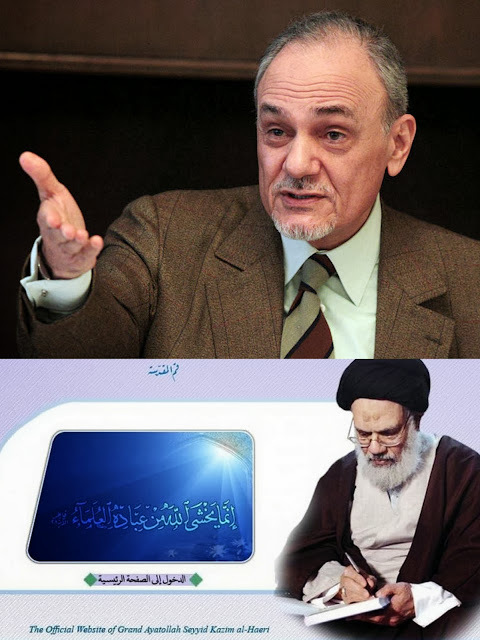 Syria, Iran, nuclear issues and the Israeli-Palestinian conflict were the main focus for Prince Turki, who spoke at the World Policy Conference, a gathering of officials and intellectuals largely drawn from Europe, the Middle East and North Africa. Saudi unhappiness with Iran’s growing power in the region is no secret, and the Saudis, who themselves engage with Iran, have no problem with the United States trying to do the same, the prince said. But he complained that bilateral talks between Iranian and American officials had been kept secret from American allies, sowing further mistrust.